Wash more cars per hour. Not just another pretty wash.
Let us focus on the details. Each day, tunnel systems in the United States wash over 45,000 vehicles. Customers want the fast, efficient, and reliable deep clean that tunnel systems provide. Each manufacturer we represent demonstrates cutting edge technology with reliable expertise and continued value for investors. Take a look at some of our tunnel equipment options below or call Harrell’s Midwest at 800-274-2777 for more information! 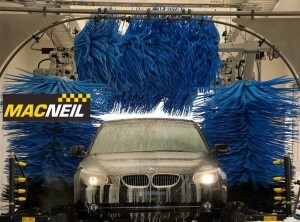 Harrell’s Car Wash Systems deliver superior solutions for car washes of all sizes, whether it’s a 50′ tunnel or a 200′ tunnel system. Operators of our tunnels set themselves apart from the competition by producing cleaner vehicles, washing higher volumes, and by offering additional products and services that target key areas to provide the value and extra touch their customers are looking for. Our equipment is designed for performance first. When you visit you’ll see, firsthand, some of the cleanest cars in the world coming out of our facility at express speeds. Clean, shiny, dry – and fast. That’s our specialty. Our systems are designed for high volume, high-speed car washes with minimal maintenance and the lowest incidence of customer complaints. At Harrell’s, we look to offer expertise, as well as quality equipment and outstanding service. 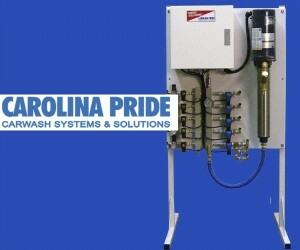 Add features to your self-serve wash bays with a three solution or single solution industrial grade system. Cost-effective, compact design, and equipped for foaming and non-foaming solutions.